The storyline of E.V.O. 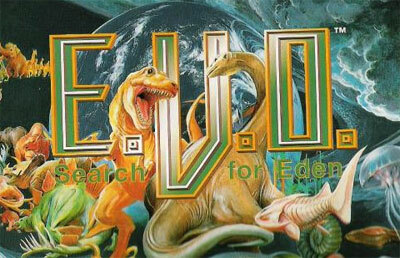 : Search for Eden follows the same patterns as modern Evolution theories. The players first controls a prehistoric sea organism, and fights to gain evolution points with which he can improve his fish's body parts and upgrade his attack/defense abilities. The gameplay is not completely linear, which means that certain choices of paths and stages will affect the player's success. The game is composed of a series of stages, in which the sea organism slowly evolves into an amphibian, and later a land-only creature. The physical changes are fairly scientifically accurate which gives the game a semi-educational purpose as well.